In what has been the longest first term EVER (Ok, that may just be us) but we are staring down week 11 you guys, and I am TIRED. We have had the start of high school, the start of preschool, and in between starting school by herself for the first time ever (Harps is loving herself SICK obvs) and we are all a little tired and emotional. Just ask Rob. From getting out the door 90 minutes earlier, to catching buses, starting Mags at two new places (family daycare and preschool) and a LOT of tears, all I want to do this week is order canteen online and rock on the floor. But no! 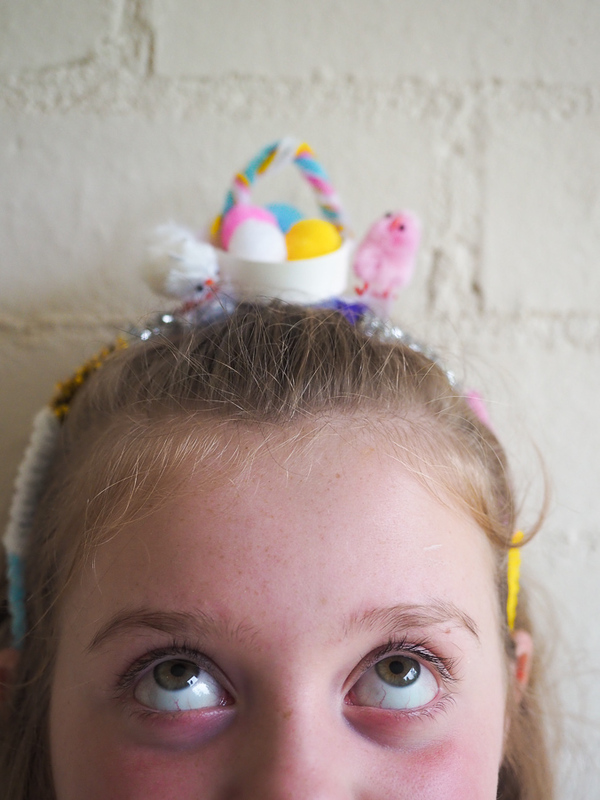 We have something that comes at the start of every term 1, that some may dread (including myself): THE EASTER HAT PARADE. 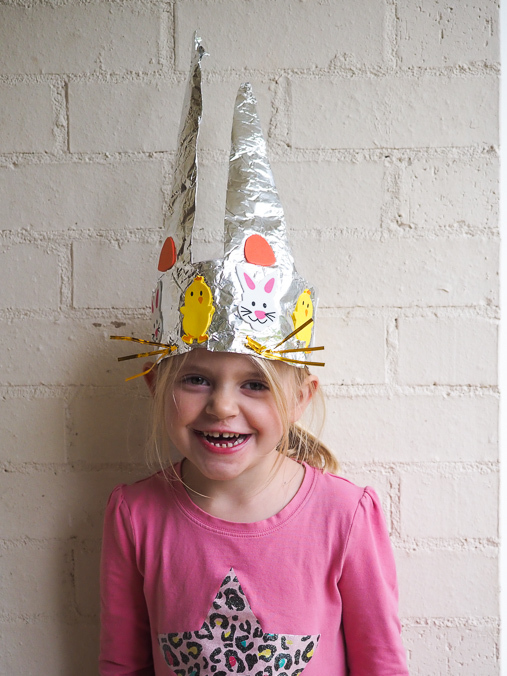 Maggie is every Mum, everywhere, getting the note from school about the Easter hat parade. I feel you girlfriend. We’re TIRED YOU GUYS. When I google “DEAR GOD WHY DO EASTER HAT PARADES EXIST” it tells me that it started as a way to wear your fancy new clothes that were worn on Easter Sunday. A chance to wear something that is represented at the start of a new seasonal year (Spring for the Northern hemisphere) and fancy bonnets were also worn. So you know, it’s really relevant to us. For the past 8 years or more I have been pulling together Easter hats and bonnets. And when I say pulling together I mean exactly that, finding whatever I could and asking the girls to do their best. I have outsourced to Grandparents, to Rob, babysitters, anyone else to do the craft that I am not a fan of (OH DEAR GOD THE MESS WHY WHHHHY). The girls love this stuff obvs, gluing with gay abandon and adding glitter to all of the things just to annoy me. Our hats are always dodgy, creative, they sometimes never last the parade and they will always involve someone losing their minds and storming off when it doesn’t go to plan (sometimes not just me). Also, let’s just pause for a moment to think that I still have at least 7 more years ahead of me of this. That’s 15 years of Easter hats. FIFTEEN. In my way of showing you guys shortcuts when I can, I wanted to show you what Woolworths have available this year and how you can grab what you need during your next grocery shop to knock this baby off in one hit. As I said, nothing fancy or Pinterest worthy, but the kind of lo-fi stuff that I made as a kid, that still stands today, using what you have, that won’t cost much and you can get from your weekly shop anyway. Get your hot glue guns plugged in, and let’s do this. KIDDING AS IF I WOULD OWN ONE. Now I let Harps do her best with this tub and she LOVED it. I loved that there was a tub where everything could go afterwards (a useful box if you will for future craft that will never happen). But Mags needed some, shall we say, direction. I used one of her preschool paintings (because we get 67 of them a week) and made an old school paper hat. Nothing fancy, but they work, they stay on the head and we are using what we have…perfect. Just google paper hat for video demos…surely everyone knows this though right? Once we had the basic hat, I let her go for it. Ish. Set it aside to dry for at least overnight so those pom poms will last to the parade. We then decided on another one, because she wanted to wear something and this was slowly drying and boring, so we went for round two. I was also trying to cook dinner at the time. 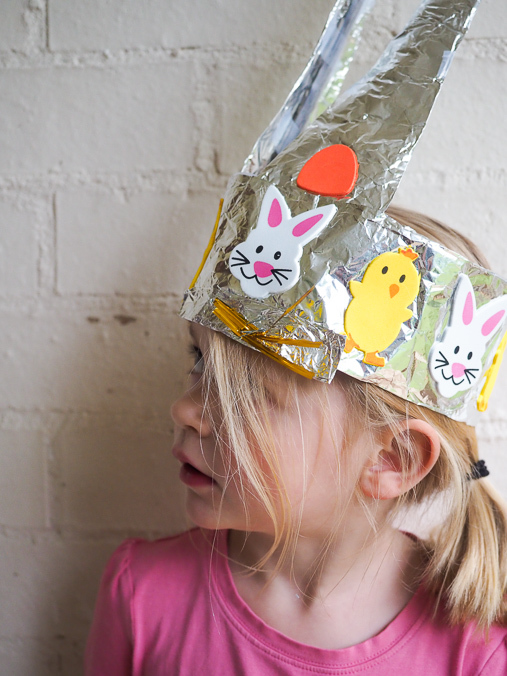 I grabbed some foil from the drawer and made a simple circle crown, added some ears and bang! Stapled them all together. Then went to town with the stickers. Voila! BONNET OF DREAMS. Shiny! Done in 3 mins. Tick! Seriously, my best work yet. This will be a standard one going forward. The whiskers were a touch from Daisy who decided that even though she’s in high school that this was fun. 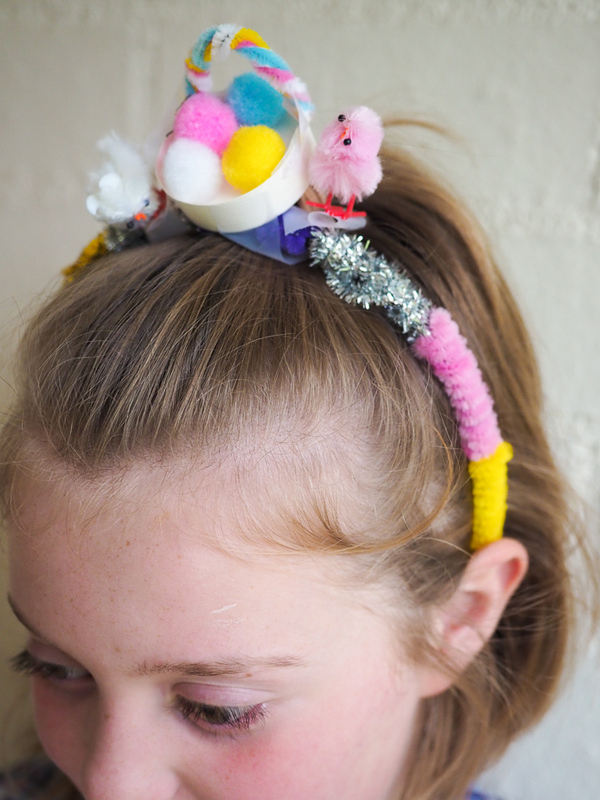 Harper then revealed her work of art: a touch of the Spring Racing Carnival with a little nest atop a headband with pipe cleaners. All from what we had and this craft tub. Bless you Woolworths. She’s taking orders for Melbourne Cup. 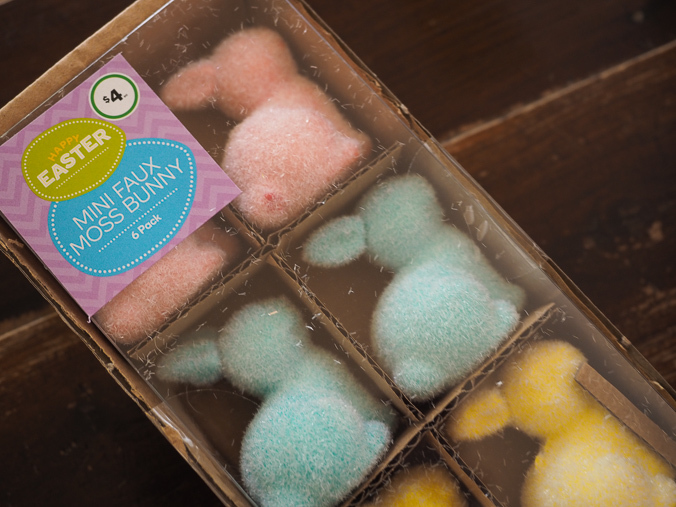 Make sure you check out the full range of Easter craft stuff for Easter hats available at Woolies or even for your tablescapes for the big day (I LOVE these bunnies that I bought last year) as well as all the food available. My top picks are these brioche hot cross buns maaaaaaaaate ! 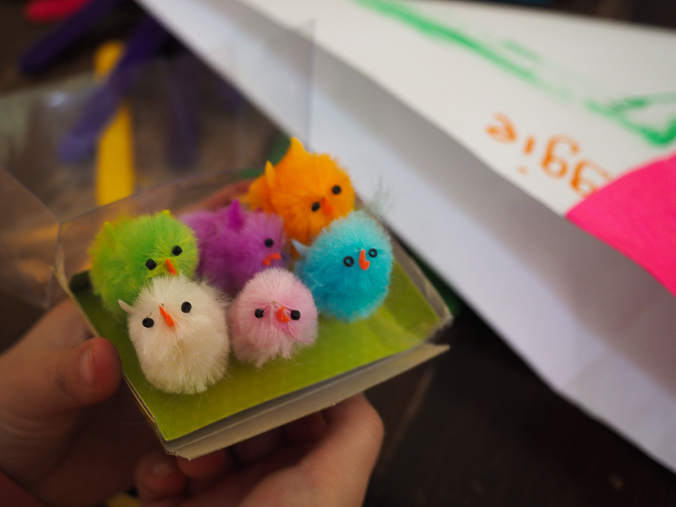 But there’s a variety of Easter products from Woolworths to check out here. 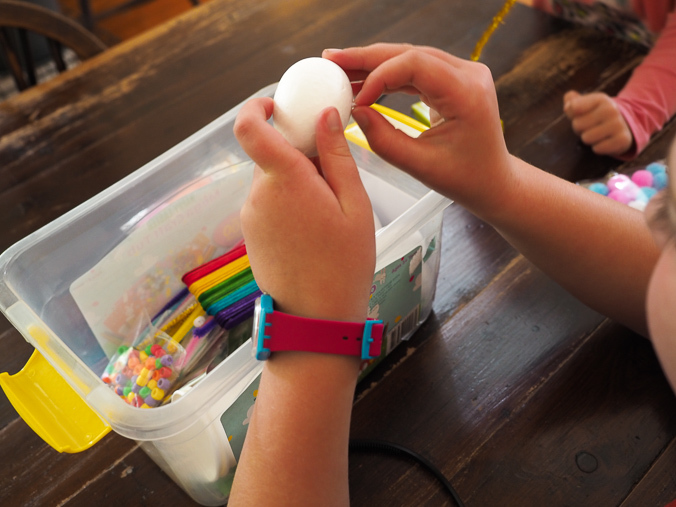 And I’d love for you guys to share with me your creations this week…just tag @woolworths_au and myself on your creation through Instagram stories or put up an Instagram post to be a part of this Easter Egg Hat Challenge. May the force be with you this week…think how good that drink will taste Friday night! 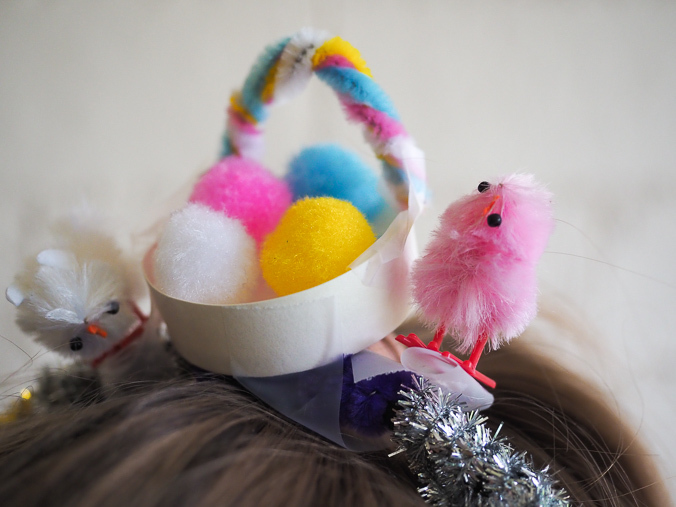 Got an Easter hat parade triumph or tragedy to share? Sunday Blossoms and Bees It’s beginning to look a lot like Christmas… Let’s Go! I love Harpers ! Hang in there Beth you are nearly there ! You are going great guns, Harper’s is divine. love the look on Maggies face having her whiskers fitted. Georgia has to enter Ava’s for Woolies, wait to see what she has in store, she’s planning to win of course! It was a killer my friend…but we made it!